beautiful post today! (she says as she wipes away the tears) I have had many thoughts exactly like yours since my loss in April. Death, especially when it’s sudden, tragic, or of someone you can relate to is so perspective altering isn’t it? So cliche, but the small stuff doesn’t really matter anymore. I look at L and I count blessings despite my losses. I think it has been really amazing to see your transformation after your loss. Through your blog I have really been able to see you go through all the stages and start to come out the other side. Thank you for sharing that! Sometimes small things are just small things and sometimes they are big things. It’s important to remember the difference! I had a similiar experience some years ago when my cousin and her husband died at the hands of a drunk driver leaving behind 4 children. Life should never be taken for granted. Well put!!! 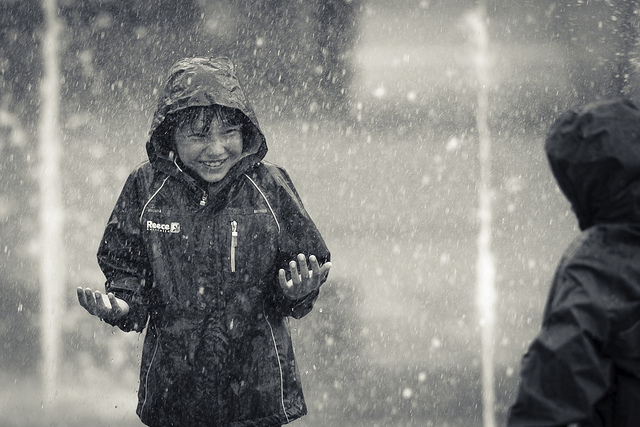 Love the rain photo! Oh wow. What a tragedy! I am so sorry to hear that happened but happy to hear that you were able to take something positive away from it. I know its a sad story. Thanks for your condolences. Life should always be cherished! Thank you so much for sharing this! And I agree that life should always be cherished… even if it is hard to remember why sometimes. Sometimes living more and learning more doesn’t make you wiser… it just makes you more afraid. Thanks for reading!